The semifinals are here and for the western side of the state, that means we head indoors to the warmth of the Tacoma Dome. For a look at the updated look at the 4A bracket click Right Here. Just a personal suggestion… If you are planning on eating at the Tacoma Dome, go somewhere else. I personally suggest going to Freighthouse Square, which is just a few blocks away. Right Here is a list of shops/restaurants. This game will be shown live on Root Sports NW. To find Root Sports on your TV check out their Channel Finder. For many years the Tacoma Dome was a second home for the Spartans, but the last two years they have been absent. They are back now and have a real shot at bringing home their 8th state championship. Senior QB Blake Gregory is one of the state’s best and has an offer from Weber State, with many other D1’s taking a long hard look. On the season, Gregory has thrown for 2,499 yards and 28 TD’s. Logan Wanamaker (’16) is the top receiving target with 36 receptions for 608 yards and 7 TDs. Danny Sinatro (’16) isn’t far behind with 33 catches for 591 yards and leads the team with 9 TD receptions. They complete the trio with Jake Pendergast (’16) and his 34 receptions for 401 yards and 4 TD’s. RB Rashaad Boddie (’16) is committed to Colorado State, and really carries the load of the offense. Through 12 games Boddie has rushed for 1,657 yards and 17 TD’s, with nearly a 6 yard per carry average. We all know about LT Henry Bainivalu (’17) and the offers he currently holds from schools around the nation, and rightfully so. The key cog for me on the Skyline OL is Cameron Hill (’16). He is a throwback to old days with his tough, hard-nosed style and for a guy who loves physical play like I do, he is an absolute joy to watch. Defensively the Spartans do a great job limiting the run and shutting down the pass. Skyline comes in with 20 team INTs, 30 sacks and 14 fumble recoveries. I was really impressed with LB Harry Reed (’16) when I saw the Spartans against Gig Harbor. Reed was in on just about every stop and did a great job containing QB Davis Alexander’s rush attempts. Reed is tied for the team lead with 66 tackles and is second with six sacks. Matthew Cindric (’18) has the look of being the next big lineman from Skyline. He is listed as 6’3″ 240, does a great job getting off blocks and leads the Spartans with 7 sacks. Plug in big time recruit Henry Bainivalu (’17) and the Spartans front line is very tough to move around. Alex Diegle (’17) and Caleb Johnston (’17) solidify the linebackers in the middle. Both players fly to the ball and play fundamentally sound defense. Team those two with PJ Cox (’17), and you have a front seven that is as good as anyone in the state. Danny Sinatro led Kingco with 7 INTs this season and has lockdown type abilities. All three times I saw Skyline this season he did a great job shutting down the opposing team’s top targets. Jake Pendergast also does a great job shutting down the opponents and came away with 5 INTs on the year. Bradley Kim (’17) plays mostly as the single high safety and is tied with Reed for tackles with 66 and also has 2 INTs. Jack Crane (’16) is one of the most underrated kickers in the state of Washington. The left-footed Crane puts just about every kickoff out the back of the endzone and has shown the ability to hit from 50 yards on FG’s. Crane may be the state’s most accurate kickers and is 15 of 17 this season. 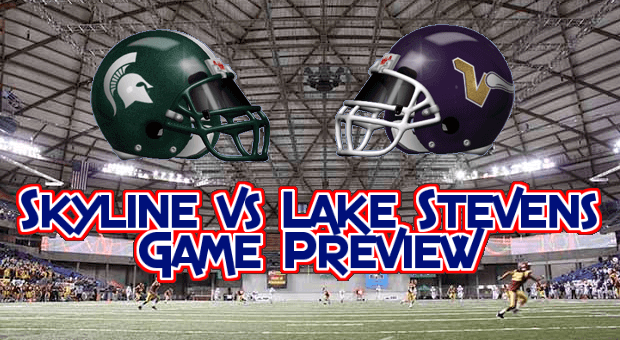 I was very impressed with Lake Stevens in last week’s win over a very good Graham-Kapowsin team. They have speed from front to back, left to right and all points in between. We all know QB Jacob Eason (Georgia commit) and the things he is capable of doing. WR Riley Krenz (’16) is the top target with 56 receptions for 973 yards and 14 TD’s, while Hunter Eckstrom (’17) is right along side with 59 receptions for 940 yards and 11 TD’s. Ian Schneider (’16) is the team’s third leading receiver with 34 receptions for 648 and 8 TD’s. He reminds me of Sean Hanrahan from last year’s state champion Bothell in that he quietly makes key plays while other receivers get the credit. What a lot of people don’t realize is RB Andrew Grimes (’16) averages 10.2 yards per carry and is closing in on 1,500 yards for the season, and has 27 rushing touchdowns. Also in the backfield is Asi Tupua (’16) who has 877 yards and seven touchdowns himself. One key offensive stat that really stood out to me is that Andrew Grimes has only been credited with 6 lost yards all season. When you carry the ball as much as he does, 145 times through 12 games, you are bound to lose some yards, so for Grimes to have only lost 6 on the season is incredible. Defensively the Vikings play a full on team game. 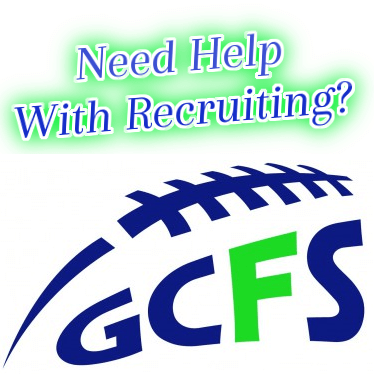 They are tough up front, get after the QB, fly to the ball and create a lot of turnovers. They are led by LB’s Michael Wilkins (’17) and Sam Burke (’16) who both have 100+ tackles. Zack Kylany (’17) isn’t far from that milestone and checks in with 84 tackles. The DL really gets after the QB, led by Michael Nelson (’16) with 13 sacks. Braden Ash (’16) has 11 and Lars Eklund (’16) has 8, and Lake Stevens as a team has 32 total sacks. Lake Stevens plays a lot of two-way football in the secondary, and they do a great job at creating turnovers. As a team the Vikings have 7 INT’s and 16 Fumble Recoveries, most of which come from the secondary. Eckstrom, Krenz and Brandon Otis (’16) lead as far as tackles. Grimes averages over 10 yards per carry and last week against Graham-Kapowsin he was able to run almost untouched for the first five yards, credit the offensive live. Skyline will have to change that, and they have the personnel to do so. It is ridiculous to think you would want to put the ball in Eason’s hands and make him beat you, but making your opponent one-dimensional is usually a good thing, especially with Skyline secondary. It seems weird to think the running game could be so vital in a game with two teams that run a spread offense, but if Lake Stevens can keep Boddie to minimal yards, they will put themselves in a great spot. I am not saying Blake Gregory isn’t capable of beating them, because he could easily do that. They can’t allow Boddie to pound and grind the defense. When that happens, teams get worn out and that is when homeruns get hit. I am sure it isn’t a secret to either team that it is going to be warmer than usual this week. Every year teams march into the Tacoma Dome without proper hydration and end up seeing their best players on the sidelines with cramps. The best preview I've seen thus far. Maybe a little biased for Skyline, but they do have a better record in these type of situations in the past. This isn't the past. No one has been able to contain Lake Stevens offense as of yet. The most telling thing for me is that Camas outgained Skyline in yards last week. Turnovers were Camas's undoing. Camas didn't seem to have a problem moving the ball. Skyline's biggest advantage in this game may be the kicker. Kick returns have been a spark plug for Lake Stevens throughout the season. Skylines kicker should be abe to take that away as he routinely puts the ball in the endzone. I would be interested in Rylands opinion on who will win this game. It should be fun one. If I wasn't working on the broadcast, I would give my prediction. I stay away from predictions when working on the broadcasts for ROOT. Ryland Spencer I figured that to be the case. If Skyline can score 42, they may have a chance. Dale Welk I am not sure they will have to score 42. Skyline's defense is probably the best Lake Stevens has seen all year and matches up really well with Lake Stevens. That isn't to take anything away from Lake Stevens. I was VERY impressed with them last week in a game I thought GK could win. Ryland Spencer – if LS doesn't turn the ball over, they are going to score points. Skyline will have to get to Eason. Force him into making quick decisions. Camas was successful throwing quick slants and seam routes. Skyline will have to capitalize on big plays much like they did against Camas. The 1st couple of offensive series for LS will be very important for both teams. Dale Welk I think that is where you and I differ. I think they have to stop Andrew Grimes to be successful. If there is anyone in the state that knows how defend the Lake Stevens offense, it is Skyline. That staff has been running that offense YEARS. The team that tackles the RB better wins the game. Ryland Spencer – I'm not going to disagree with stopping Andrew. It's always easier for a defense if you can make a team one dimensional. This game and hopefully the next game are very important for Andrew. Hopefully he can turn some more heads as far as recruiting. My son plays with Andrews younger brother. It has been surprising to hear he wasn't getting more looks from colleges. Ryland Spencer Well what that was a hell of a game. It was the game I thought it would be. Unfortunate that jacob fumbled, otherwise Skyline would have had to score 42 to win. Skyline scored the explosive plays I thought they would have to, to win the game. I re-watched the game once I got home. I didn't hear you on either the 3A on Friday or the 4A broadcast. Dale Welk But they didn't have to score 42 because their defense was good enough to make plays, like forcing that fumble. I don't announce on the broadcasts. I sit with Brad and Jason feeding them stats and info, as well as the official stats for the braodcast.